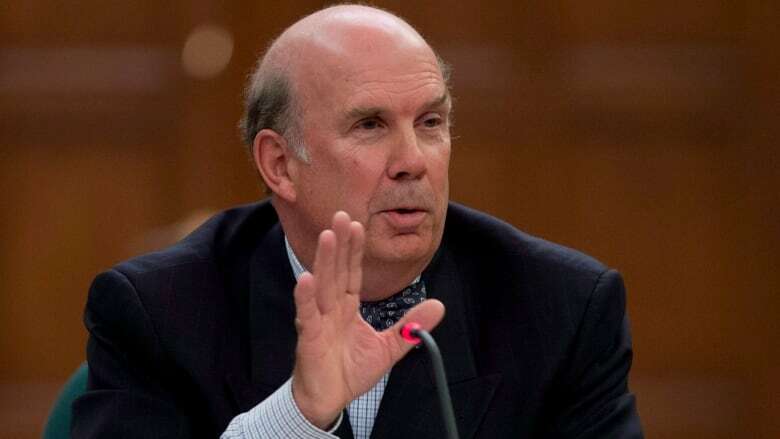 The Canadian Association of Provincial Court Judges is warning that challenges to the appointment of Supreme Court Justice Marc Nadon could have serious unintended consequences. The association is intervening in the federal government's reference to the Supreme Court, set for next week. The reference comes out of a challenge by Toronto lawyer Rocco Galati and Quebec's Attorney General, who argue Nadon, appointed by Prime Minister Stephen Harper last fall, does not qualify for one of the three Quebec seats on the top court. Nadon served on the Federal Court of Appeal. The way they interpret the Supreme Court Act, Galati and the Quebec government say candidates from Quebec must be practising lawyers or members of the province's Superior Court or Court of Appeal. Provincial court judges say that reasoning would also exclude them from being appointed and have intervened in the federal government's reference to the Supreme Court of Canada, scheduled to be heard Jan. 15. Sebastien Grammond is acting for the association. "This interpretation, this debate, which has been focused on federal court judges, also has implications for provincial court judges and that's one thing that the court should consider," he said. Grammond says it is probably an unintended side-effect of the challenges but they "would have the effect of excluding provincial court judges from the possibility of being appointed to the Supreme Court." Grammond makes that point in the factum the association of provincial court judges submitted to the Supreme Court by pointing out the long and sustained calls for the appointment of an aboriginal judge to the top court. "As one aboriginal scholar notes, the ineligibility of provincial court judges would make such an appointment more difficult, because 'we note that many of the present aboriginal judges in Canada sit in provincial courts, which is attractive to them because it, primarily, is the court with which aboriginal people have to deal.'" No provincial court judge has ever been appointed directly to the Supreme Court of Canada. Even so, constitutional expert and Osgoode Hall law professor Bruce Ryder says it could very well happen in the future. "If we accept Mr. Galati's arguments, we're significantly narrowing the pool of potential appointees to the Supreme Court of Canada," Ryder said. Especially, Ryder points out, when so many are pleading for diversity on the bench of the top court. "We have many eminent jurists on provincial courts, more so than ever in our history in Canada and our provincial courts are also more diverse." "When you think about calls for the appointment of an aboriginal judge to the Supreme Court, where are you going to find that judge? The provincial courts is one option, one serious option." Next week, the Supreme Court will be in the unusual position of deciding the fate of its newest colleague when it hears the federal government reference. The minister of justice asked the court to decide if Nadon's appointment is lawful and whether new legislation that seeks to clarify the Supreme Court Act is constitutional. All the while, Nadon, who has already been sworn in, has still not heard a single case. Nadon decided to step aside until the controversy subsided and the court has instructed him to steer clear of the court and his new colleagues.